Recently the subject of “advanced techniques” has been debated on the Traditional Fighting Arts Forums. I think it is self-evident that there are some techniques or forms are much harder to learn - not just because they require mere athleticism, but because they require subtler kinaesthetics and the ability to execute them depends on years upon years of “precursor” training. I happen to call such “hard to learn” techniques “advanced”. Why? Because I think beginners should start with things that are easier to learn. My comments above are at odds with the views of those who would argue that “there are no advanced techniques, only advanced practitioners”. On this analysis, the techniques themselves are relatively simple. All that changes is the complexity of the combinations of these simple techniques. Indeed there is something to be said for that philosophy. Most techniques are really quite simple: punch, kick, lock, etc. What differentiates one practitioner from another is usually not the advancement of the skillset, but the advancement of the performance of (basic) skills. And yet recently I was reminded that this is not entirely accurate; that there really are techniques that are “hard to learn” - techniques that are best taught on the foundations of other, simpler, techniques or movements. Indeed, these simpler techniques are often essential (or at least highly desirable) precursors to the “advanced” ones, allowing the student to isolate and perfect the underpinning coordination and other necessary kinaesthetic skills. Consider that all classical musicians will point you to pieces (for example, this one by Rachmaninoff) that are advanced; ones that require a level of skill that is beyond mere speed and physical agility. These are what I would call “advanced pieces”. Yes, you could say that what is different is that the playing is more advanced. But I’m saying that in order to play it properly you need to be sufficiently advanced - terms of technique, speed, phrasing and expression generally. Rachmaninoff's Piano Concerto No. 3 in D minor - one of the most challenging pieces in the classical repertoire. Wait till about the 3:00 mark! Beethoven’s Fur Elise can be played exquisitely by a master pianist. The Rachmaninoff piece can too. But while beginners can play Fur Elise (it is one of the first pieces they are taught) they can scarcely attempt the Rachmaninoff piece. It is clearly a more advanced piece. The master’s performance of the Rachmaninoff piece isn’t a case of an “advanced performance of standard/basic skills” - that would be the master’s exquisite performance of Fur Elise. Last Saturday I was teaching a couple of northern shaolin forms to a small group of students. The forms are of a fairly high complexity and have a fairly long sequence (double or triple that of most karate kata). The group comprised a couple of brown belts and a few relative beginners. In just over one hour the group managed to learn both forms - to a fairly high degree of skill. The form was near perfect with the brown belts - despite the fact that they are karateka, not Chinese martial arts stylists, and despite the fact that one of the brown belts had only ever seen the first form, and only once or twice before at that. The beginners didn’t look too shabby either. So far you might be excused for saying “so what?” Indeed, this doesn’t show anything about the nature or meaning of “advanced”. It’s the next bit that provides the relevant contrast. The destructive cycle of xingyi - the 5 elements arranged into a sequence that can be applied in a 2 person setting. It might look familiar enough to karateka and other traditional martial artists, but it is surprisingly hard for students to perform correctly. The result was, quite simply, unsatisfactory. The form was no where near right. I’m not saying this to be critical. It is just a fact. The movement looks easy and familiar. But it is far from that. In order to do this sequence and its techniques properly, you need years and years of training in more “foundational” xingyi (namely the “basics” known as the 5 elements) and, generally, martial movement. Only once the form of the 5 elements is attained (at least to a reasonable extent) is it practicable to move to this little form. That is because this form assumes that you are familiar with the 5 elements; familiar enough to apply them in a more dynamic environment.2 The footwork alone is surprisingly difficult. It is next to impossible for a student to focus on, and perfect, the footwork if he or she can’t even do the macro movements of the 5 elements. There are simply too many things happening at once. It’s a bit like trying to learn to run before you can even walk. By all means, try this sequence yourselves. 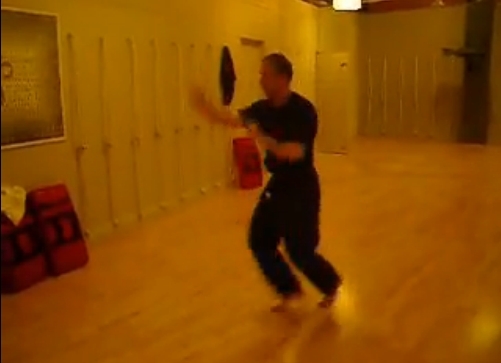 Even some xingyi practitioners can’t do the footwork properly. I remember struggling with it for many years, so I understand why. So there’s a good reason I haven’t yet filmed the 2 person version of this drill: as yet I don’t have any associates/students here in Perth who can do the techniques (especially the footwork) comprising this drill at least as well as I can. At the very least, last Saturday made me realise the importance of doing the xingyi basics (the 5 elements) for significantly longer before we return to this 2 person drill. My students really aren’t ready. Their building blocks are all wrong - so the “house” is totally unstable. The drill is, quite simply, too advanced for them at this stage. I think there is a tendency in karate and shaolin, for example, to make assumptions about the nature of “advanced” because karate and shaolin have relatively few building blocks and they don’t vary much from beginner kata/xing to the so-called “highest” ones. The building blocks of karate and shaolin are fairly common, making the lesson I taught more about learning a new sequence - not about learning new concepts. The same is not necessarily true for the internal arts which are generally “harder to master” (even on a macro level) than karate and shaolin. This is particularly so in the case of xingyi. My last observation might seem strange to some, as xingyi is sequentially so much simpler than its “cousin” arts of bagua and taiji. Many of my karate colleagues have said that it looks very much “like karate”. And on some levels it is - but on others it isn’t. 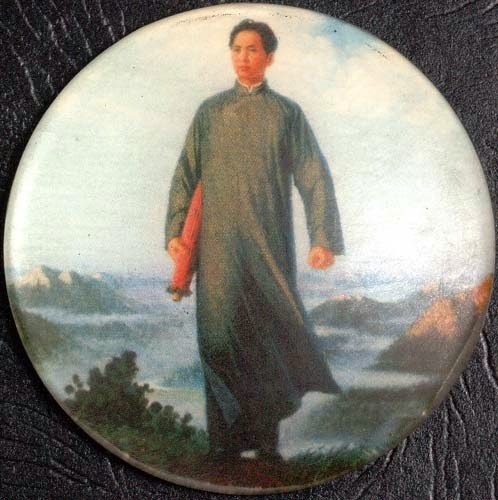 Is xingyi “more advanced” than taiji or bagua? I’m not sure about that. Bagua and taiji have their own complexities and subtleties. I suspect that while they are easier to perform on a macro level, they are a lot harder to master completely - and apply in combat. But either way, xingyi is, in my opinion, an art that is very difficult to learn. When we do xingyi with my instructor, Chen Yun Ching, it is common to hear groans amongst the students. And Master Chen will “tsk tsk” and shake his head through the entire lesson. 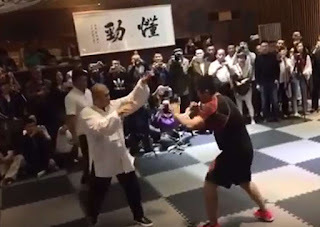 Master Chen has even expressed concern that xingyi might well die out one day because there are too few people who want to learn it. The xingyi drill to which I refer is analogous to “combinations” of musical notes comprising an “advanced piece” (as per the Rachmaninoff example). But from the preceding discussion it should be clear that it is not just the combination that makes such a piece difficult. Rather it is the form of the piece - ie. the manner and context in which the individual “notes” are executed - that determines its “complexity” and hence its “advanced” nature. Consider that each of the 5 elements is short - a block and counter. Why is it so hard for students to learn them? We’re not talking a complex sequence - we’re talking 2 movements (block and counter) for each element. The combination of 5 elements (ie. 5 different block/counter sequences) in this drill just adds another layer of difficulty for them. But the first hurdle they can’t overcome is the correct performance of the individual elements. Following the musical analogy, there are only a few “notes” to be played - yet the way in which they must be played requires a much higher level of technical skill in order for the playing to be “correct” or “effective”. So what is it about the xingyi drill and the Rachmaninoff piece that makes their form “complex” and hence “advanced” (relative to, say, karate and Fur Elise respectively)? The answer lies in the concepts being introduced. 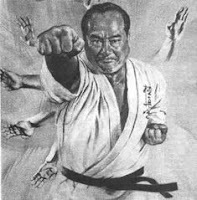 Let us consider for a moment some of the concepts introduced by xingyi and their comparison to an art like karate. One might be forgiven for assuming that the principles are very similar if not identical. My answer is that these sorts of factors pale in comparison to how many such elements exist in pi quan - even though the movement scarcely has much greater apparent complexity than a proper basic punch. Quint and I can talk about the basic punch - its pullback/chamber, elbow position etc. - because we both know about this and we have common reference. But we don’t share a common reference with pi quan, so a discussion about its “formal requirements” is going to be difficult. Yes, I can tell Quint that pi quan’s “pull-back hand” must create an arc in the shoulders, that the lead hand descends with the index knuckle closest to the palm being in prominence etc. I can tell him that the hand and foot must finish at exactly the same moment and that your back foot shuffles up and stamps a millisecond later. None of this sounds very difficult or remarkable when explained on paper. But in the end I can only explain the pi quan details with the help of multiple essays - or by teaching someone the technique and demonstrating applications (and how the details are important to effecting the applications). One can only feel how much harder it is to get pi quan right than a basic punch by trying it. You might be doing the pi quan and succeeding by a natural evaluation (did it strike home and do damage) but not the artificial one (was it a fully correctly executed pi quan according to the principles of xing yi). I would agree that no, you are not doing a seiken if you are not fulfilling the rigid categories which are defined by the elements we’ve been describing. These artificial assessments are based on prescriptive rules, though those rules come out of an exacting look into the nature of the body. While you can succeed at the technique in broad objective terms, you might fail by highly valid subjective terms. I agree with Quint, but I think what he is talking about is fidelity to form. I’m talking about fidelity to concept. There is no question that someone could sing Nessun dorma, do it badly and still be singing Nessun dorma. That’s what last Saturday’s xingyi was like. But if you asked me whether it was being done to a remotely satisfactory standard, I’d say “no”. Ditto with a karaoke singer trying Nessun dorma. You need to have a tenor voice and you need to have considerable control to do a “passable” job. 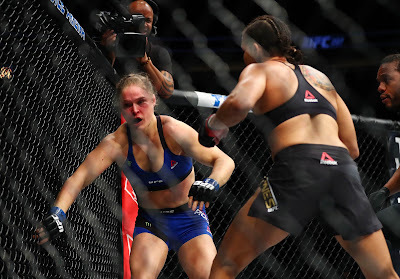 Because martial arts are more goal directed, the “passable” element becomes more critical. If you attempt a xingyi move and you don’t do it “passably” it will collapse. The techniques rely on very, very fine angles and tangents of both deflection and counter. You might attack those angles and tangents with another, similar, move from karate etc. but you won’t be doing xingyi. It will invoke a different concept. Consider “heng quan” (crossing fist) from the previous video at 0:18, 0:24, 0:28, 0:32 (wherever I’m heard to say “six, seven”). This technique is the hardest of the 5 elements. Karateka who attempt it invariably default to a crossing block (ie. soto uke) followed by a chudan uke or chest block. This is what I did for many years. This is completely at odds with the intended application of heng quan. You might still succeed in blocking and countering the relevant attack, but you won’t be doing so using the xingyi concept - you’ll be doing a completely different (karate) concept. It’s as if you slid from Nessun dorma to the The Last Post mid song. Yes, The Last Post is a moving tune and some notes are similar to Nessun dorma. But it is clearly a totally different piece. A video in which I expand upon the use of xingyi’s 5 elements against each other in what is known as the “destructive cycle”. So I don’t think it is a good analogy to say that you’re ended up with a “half-formed seiken (punch)”. I think a more apt analogy is that you’ve been asked to do a seiken, but you’ve ended up with a half-formed uraken (backfist). In my view, more experienced traditional martial arts students have a much higher likelihood of learning xingyi properly. Brand new beginners or even intermediate students just make a total hash of it and keep doing so for much longer than those who have years of solid traditional martial arts behind them. It’s true that the experienced students might have to “unlearn” a few things - but the bulk of what they know is still used. In the absence of previous experience, a beginner will simply have to spend a great deal more time executing the basics of xingyi before he or she is ready to apply them effectively. As I’ve previously noted, it is common in the internal arts to speak in terms of years (if not decades) before you can “leave the training hall” (ie. actually use your techniques effectively). It is for this reason that in our school, the Academy of Traditional Fighting Arts (in Perth Western Australia) we have adopted a “sequentially relativistic” syllabus - one where you start with “external” skills that are easier to learn and progress to the more “advanced” “internal” ones. It seems to me that there is something to the concept of “advanced” if by that we mean “movement that is harder to learn” or “learning that relies on what has already been learned”. Xingyi is just the first example of this that came to mind because of last Saturday’s training: there have been many other times in my career where I have encountered techniques or concepts that relied upon earlier ones being truly “cemented” before the new ones could be absorbed. Not only has my study of the internal arts been rich with such experiences, but it is safe to say that I have felt this in every discipline - within karate, arnis/escrima/kali, grappling... you name it. I hold it to be self-evident that “advanced” techniques exist. Is it necessary to learn such “advanced” techniques? 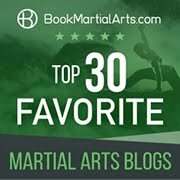 Arguably, no.1 But just as a musician might want to attempt an advanced piece for any number of reasons - the expansion of skill for its own sake being just one - most martial artists will one day reach a point where practising the same basic material becomes boring and produces diminishing returns. And I practise martial arts for a variety of reasons - civilian defence being just one. I want to continue to be challenged - and not just by advancing age. 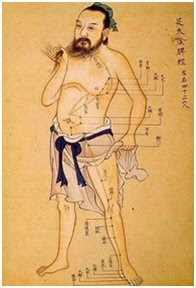 I have found arts like xingyi have not only expanded my repertoire, they have expanded my mind. But irrespective of your goals, it is still true to say that certain techniques require greater technical expertise to effect - particularly in a dynamic, resistant environment. They are, by their very nature, therefore “advanced” and should not be bothered with by someone who wants “quick results" but still has a long way to go with more “basic” material (which might be all they will ever need anyway). On the other hand, those who are in it “for the long run” can take their time acquiring the requisite “advanced” skill, being sure to approach it by isolating that skill in its most basic context (eg. the 5 elements of xingyi) before moving to a more complex, dynamic context (eg. the destructive cycle drill to which I refer in this article). If that sounds like common sense, maybe it is. But it should nonetheless serve as a useful guide to those who might feel the urge to “skip the basics and get to the ‘good stuff’”. It’s all good stuff - in its own good time. 1. Are “advanced techniques” better than “basic” ones? Almost certainly the answer is no. Let’s just say that the pragmatic nature of fighting means that simple is often the best. And if you can do something simple very well, then something complex is often unnecessary. I see “advanced” as something you move to when you’ve reached a point of diminishing returns in practising foundational stuff over and over again. This is true in music too. The Rachmaninoff concerto to which I refer above is not “better” than Fur Elise. It is however more challenging; it is a more advanced piece. 2. Note that the particular sequence might be my own creation, but the individual movements and footwork are not - they are entirely xingyi as taught by my first teacher Bob Davies and my current teacher Chen Yun Ching, albeit that the footwork is an extrapolation of that found in other contexts. 3. 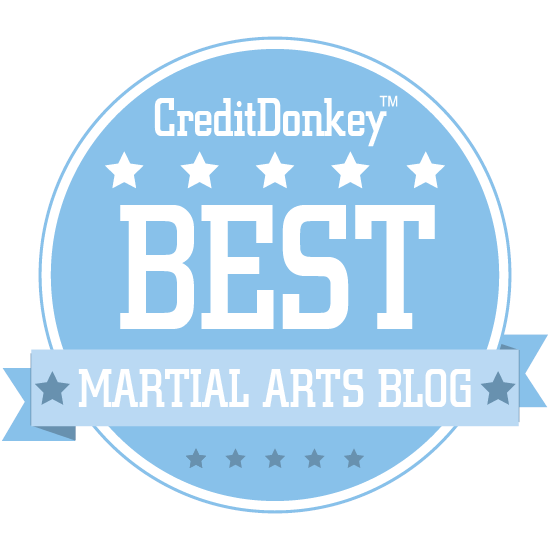 I can tell you more or less exactly what it is that makes xingyi hard for beginners (I’ve previously discussed just one of the “lesser” elements - timing the front foot landing and the punch during stepping. But you need to experience the movement yourself and try to get it right. Only then can you understand what is so “hard” about it. Then you need to get the movement more or less right. 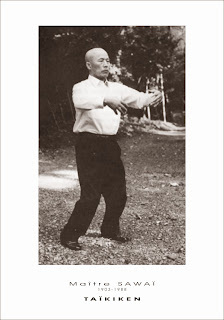 So I can tell you about the xingyi - I can go into exhaustive detail about timing the footwork with the arm movements, the nuance of the stance, the control of hip movement during stepping etc. I will almost certainly do this in my blog in future articles. But this is unlikely to add clarity to this debate in the absence of a shared experience. And the information won’t help in understanding other examples. 4. I’m very fortunate that while my teacher Chen Yun Ching is very pedantic about form, he is more concerned with correct application of principle. Hence even though I might not have “classical form” he has granted me an instructor’s licence in his system (and I’m one of only a dozen or so who presently share this honour). 5. 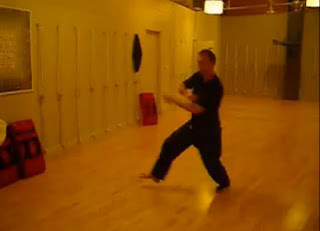 In heng quan the body withdraws in a “ribbon-like” fashion as you execute the first part (a deflection), then “whips back” with the second with a curving strike. This avoids the pitfalls inherent when you are on the inside facing a second or third attack. 6. For example, a good, experienced karateka can “reuse” all of his or her knowledge. And should. Some “infernal internals” are likely to disagree with me here, but then again, I’m equally likely to think they live in a fantasy world of “jins” and “qi power”. big article! lots of good points in there. I wanted to add to one of your points - "Brand new beginners or even intermediate students just make a total hash of it"
I generally agree with this, but I have managed to teach 3 people over the last 3 years to a competent level in Hsing I, but it required a very old school approach. 2-3 classes a week, they did nothing but the 5 elements for at least a year. Their dedication was impressive. They only learnt one at a time and it was required to be nearly perfect before moving onto the next one. Certainly, it's easier for the experienced martial artists though and much faster! I think it just goes to illustrate the complexity as you outlined in your article. "In the absence of previous experience, a beginner will simply have to spend a great deal more time executing the basics of xingyi before he or she is ready to apply them effectively. As I’ve previously noted, it is common in the internal arts to speak in terms of years (if not decades) before you can “leave the training hall” (ie. actually use your techniques effectively)." I have a couple of students who have been doing xingyi more or less "from scratch" and they are doing quite well with it, however I think this is because I have focussed on the 5 elements. "I think it is self-evident that there are some techniques or forms are much harder to learn - not because they require athleticism, but because they require subtler kinaesthetics and the ability to execute them depends on years upon years of “precursor” training." I would also add that athleticism doesn't hurt things that require subtle kinaesthetics - more or less due to the fact that those with subtle kinaesthetics are more likely to have years of precursor training. I agree Quint. I should have said: "Not just because they require athleticism...". Brilliant article that helped me delve deeper into Budo. I think you raised a great point here distinguishing the difference between the advanced technique v. the advanced practitioner. As a Karate student I feel I have a limited understanding of what you are trying to describe, but I feel like it is something similar to performing a combination of attacks in an efficient form (i.e. movement, and bodyweight shifting) compared to a technique being difficult because it requires an in-depth understanding of one or more basic technique(s). Also the analogy with music was spot on! 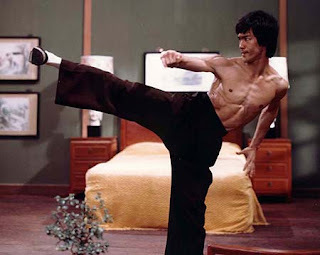 I actually could not think of a better topic to compare with martial arts. It seems as if techniques and practicality have a direct relationship with each other. They are like a pyramid, the basic are the bottom, the intermediate are the middle, and advanced being the top. As the level of difficulty rises, the number of people who can learn them diminishes, as does their applicability. Would you agree with this? Thank you very much for this thoughful blog. Yes, I agree absolutely with your pyramid analogy! Thanks for reading and your input! In my experience, the question the internal arts always had to ask was how to compress momentum into a usable quantity of force and time, while at the same time stabilizing the body and preventing injury to it. Because they can generate a huge amount of force, there became different ways to parcel it out depending on the method and goals. A huge force in a small amount of time will do a lot of damage, but also has a concurrently higher risk to the practitioner if their entire body isn't lined up. However, if their entire body is lined up, that sets up habits and patterns that can be exploited, not to mention tying up all the hands and legs in specific combinations. So they've either tried to reduce the level of force into smaller chunks that can used safer and quicker, or they utilized the body momentum itself to change locations quickly while striking. If a person is going to have to step and shift their weight, might as well use it as a source of power, is Tai Chi's general concept it seems. Thus muscle and ligaments are strengthened in order to form a fulcrum, a lever, or simply a platform from which body momentum can be safely utilized. Whereas in external arts, muscles and ligaments are strengthened in order to exert more power and apply more force. Since the whole body can be in motion and stopped or started at any time or space, this allows for interesting tricks. It's unpredictable. 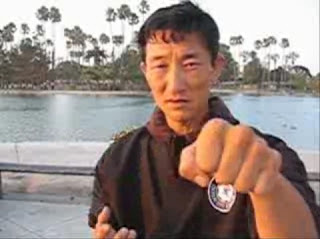 A fist strike comes from the fist, but any part of the body may be used in internal styles, provided one has the power and the structure to base it on. I don't think I would have understood a single thing in Tai Chi if it wasn't for the fact that I had already learned very simple body momentum striking mechanics, and in joint locks/throwing as well. Sinking the chi, and flowing the arms, normally wouldn't make sense in terms of a fighting dynamic. But if I translate it in terms of lowering my center of gravity so I can transfer force into the Earth, and utilizing silk wheeling or rotational principles in the arms, shoulders, torso, knee, and feet, then it starts making sense. As for the xingyi down pat, it seems like it partially uses the enemy's own momentum, sinks it to the earth, and jumps it back from the earth into the enemy's attacking limbs, sort of like how aikido uses body momentum in locks. This sort of doubles the force coming in, since it utilizes a quick body motion plus the enemy's momentum as well, to deflect. Certainly it can be useful when fighting many many hordes of people and one wishes to conserve one's stamina tactically speaking. The greatest difficulty herein rests with the timing. If the body's posture, lining, and motion is disturbed, such complicated technique chains that go through the body might end up in a very bad form. I think that's partially why xingyi tries to add speed, like external karate, to the attacks or deflections. The faster such things are utilized, the less chance something bad will happen during. I do wonder what would happen if a train wreck met with a steam explosion, however. If while delivering fajing type power, the attacker suffers an anatomical injury that corrupts his ability to move or think. Who'd end up receiving what part of the force from whom? Front kick: body leaning back or forward?